It’s a difficult task, to replace a charismatic frontman; it takes a lot of courage and it means a lot of talent. Kelly Hansen has both these qualities, and then some. 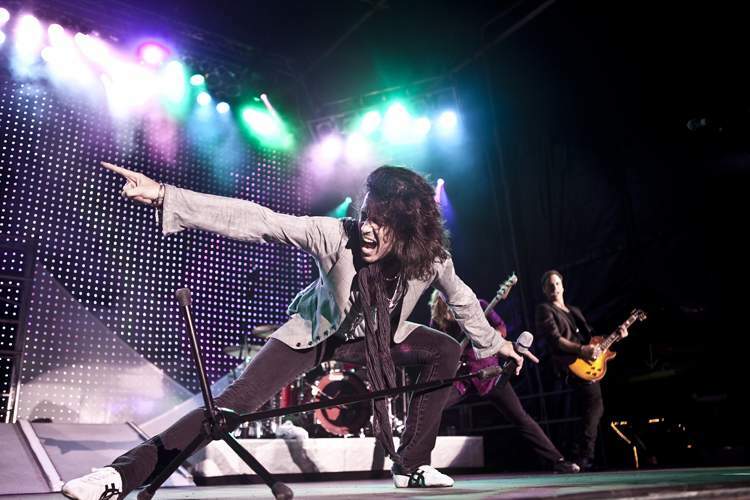 Having risen to prominence in the ’80s as a member of HURRICANE, he’s been a singer in FOREIGNER for the best part of the last decade, and it seems like the second coming for this band. Yet many still see the vocalist as a new guy. What does he think of it and what’s going on in the group? Hansen is eager to shed a light on the current affairs – in the most intelligent way. – Kelly, after almost nine years in FOREIGNER, how do you feel in this position? You know, I feel really good. There was a period [which was] rough for me vocally [as] we had a heavy schedule for a while; I didn’t speak much in 2006, and 2009 was also very difficult because we were writing and recording and touring in the US and in Europe. But all things considered, I think we’re in a place now that’s really good, the band is very strong. Everybody in the band is really good, and the presence of the band is high right now, so things are looking very good. – That 2009 recording: the “Can’t Slow Down” album has Kelly Hansen all over it as opposed to the Mick Jones-driven record. To me, there’s like a direct line from “a stranger” of HURRICANE’s “Take Me In Your Arms” to FOREIGNER. (Laughs.) Well, that may be your perception but that’s certainly not the case. Mick and myself and Marti Frederiksen worked strongly together for the most part of the writing – there were also outside writers – but that was really Mick’s record. I had a little bit less involvement than both of those guys in the writing, but we all worked together, and we spent a lot of time together trying to make sure that this record sounded the way we wanted it to. Mick was there every step of the way, producing vocals and all, so it’s definitely a FOREIGNER record, heavily influenced by Mick. Mick is in control of the vision here, you know; I just think that it’s the fact that it’s my voice on there probably makes it seem differently. – Still, it’s somehow lighter than previous records, with an ’80s AOR sound to the likes of “When It Comes To Love,” and “Give Me A Sign” even has a jazz vibe. Was it an original intent to write differently? We did not have a pre-conceived plan, except that we wanted to make great music. And we purposely did not try to plan a style or predict what the audience might like, because that’s not a genuine way to create art. And really it’s – and that sounds very grand – if we know that if me make music that we think is good, then, hopefully, that’s our best chance of communicating and touching more people, rather than trying to predict or manufacture a particular album that has this many styles or whatever. We just were in this room together every day, every off day of touring and we would fly to New York or L.A. and come up with ideas and riffs and song titles and lyrics, and they fashioned themselves into what you hear of the record. – I kind of envy you: earlier, I would write lyrics sitting with a singer while he played, and now it’s all via the Internet. (Laughs.) Right. You know, to write is definitely the hardest thing that I do in this business. That’s the hardest thing. – Do you remember the first time you heard FOREIGNER? I don’t remember the first time I heard FOREIGNER but I was well aware of the band, I respected the recordings that they were making, I thought that the songs were great. I don’t know if you remember or not but, back in the ’70s, when FOREIGNER came out, some of the critics were very brutal about the fact that they thought the band was manufactured in the record company’s offices and it wasn’t really a real band – none of that was true, of course. But I always liked the band from the beginning because I was a guy who loved commercial rock and pop music. I lived in L.A. at the time, and there was time where if you did commercial straight-ahead pop or rock music in the States, the critics hated you for whatever reason. – You mean even American critics? Yeah. And I never understood that, I said, “So what you don’t like in this music that communicates to the most people?” (Laughs.) So there you go, there’s a critic for you. – It should’ve been hard for people who liked “Starrider” or “Cold As Ice” to love “Juke Box Hero” but you can’t argue with arenas. Right, and the thing is, “Starrider” is one side of a person and their expression and “Juke Box” is another, and you can’t penalize someone for showing more sides to themselves, to be willing to go to other places than straight down in one direction. – Sure, that’s what makes every new record interesting: the diversity and the expectancy of what might be there. Of course! But that’s the way that record labels are, too: if you have success doing one thing, they want you to continue to do that one thing forever, which is the antithesis of what the artistic process is, so it doesn’t make any sense to me. That’s part of the bad commercialisation of entertainment in general. – Speaking of people’s perception, you must be tired of constant comparisons to Lou Gramm and fans wanting him back and not valuing your input into the band. Are you? First of all, I respect Lou’s contribution to this band, and it’s impossible to deny – even if I wanted to – his impact, vocally and in other aspects: it’s great, and there’s no denying that. But I came into this group with the understanding that there were going to be contrary voices, there were going to be people who would hear me and never accept me, hear me and eventually accept me, hear me and immediately accept me, and that was going to be a part of what it is for me to be in this band. That was not going to go away. To try to pretend that I was not going to experience that would be fooling myself. So I just had to be honest with myself and say, “Are you prepared for this?” And frankly, I just had to say, “You know what? I’ve never listened to critics or people who don’t agree with me; I’ve always done what I think is right to do.” Mick and I were both strongly in agreement on that idea of you do what you think is right and, hopefully, your fans will follow you and they’ll get it. – And how many fans you think followed you from HURRICANE to FOREIGNER? (Laughs.) I have no way of knowing that! But there was a lot of time between those two [bands], and then they’re different musically. You know, I hear from fans now who were fans of me in HURRICANE, and that’s always great to hear. I know there’s only a few of them! (Laughs.) But I appreciate ’em. – I think your voice sounds richer now than it did before. I think that if someone would have asked me to join FOREIGNER fifteen years before I did, then I probably wouldn’t have the right sound vocally for the band. I think that my voice has matured – in a positive way: I was always very, very clean and I sang very hard. I think that, like you said, my voice is richer now, and that’s a really good thing. I still work to try to keep my voice healthy, but I also have more control over things now than I did back then as well, I’m more expressive and emotional singer than I was when I was in my early twenties. – Are the band’s vocal harmonies like a cushion for your voice and they make things easier for you or is it more difficult to weave your voice in? It’s always the guy who sings melody who has the easy part so… (Laughs.) If the people have to sing some sixth or the ninth chord or something in a tight stack, that’s more difficult, but the guys in the band are really great at doing that, and I think we work very well together vocally. – Mick is currently the only Englishman in the band, right? (In a serious British voice.) Yes, that is true, you are correct. – So is there still at least a little iota of the Englishness in the music of FOREIGNER who originally were half-British and half-American. (Laughs.) Believe me, Mick is English enough for a half of the band for sure. But you have to remember, Mick is one who wrote these songs, produced the records and really created the musical vision for this band, and he’s still here doing that. So that influence is strong, and I think that as a group we have learned what the FOREIGNER sound is and what it’s about: it is the mixture of all those things, and it’s definitely still very much there. 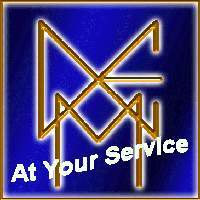 – What’s the band’s modus operandi? Sure, it’s Mick who calls the shots, but is he a dictator, a hard ruler? You know, surprisingly – and it surprised me when I joined the band – I figured somebody with this many accolades and accomplishments under his belt would be hard [to work with]. I had a different perception [of Jones] when I came in the band, but Mick has always been incredibly open to ideas, to listen, to stretch and try things: he’s really, really great about that. I think when something’s good he knows it, and if someone comes up with a really good idea to do something he understands that. He is, like I said, the visionary of the band, so things that come out of him are truly unique to Mick. Like, for example, when you hear little bits of French in some songs or you hear some chord changes that are reminiscent of English prog on the early records, that’s where you say to yourself, “Wow, there is a strong influence there!” But by no means is he a hard ruler or dictator; he’s very much a team player. I think he really likes a team. – But is there a rule that he sings one song on each record? No, uh-uh, no, no. The only rule and reason there is, if we think it’s the way to go, that’s the way we do it. If we were going to do a song where Mick sounded better on a section of it like it is when he sings “Starrider,” that would be the way to go, there would be no questions. We just do what’s right for the song. – Mick played in SPOOKY TOOTH and, with your voice inflections, I was hoping to hear on “Can’t Slow Down” the blues from you. Is that a possibility? (Laughs.) That’s not really how the band is; this is a rock band with a heavy R&B influence, you know. And that R&B influence is definitely alive in the band, but straight-ahead blues is not what this band is about, although we all have had influence from that area, and it peaks its head once in a while. – You were looking for a singing job when you joined FOREIGNER. Did you want to be in that particular band or in whatever could come your way? Oh, I never had any design at that point of my career about joining FOREIGNER. I joined this pop metal group called HURRICANE, and that was the first kind of metal band I was ever in; all the bands that I was in previously were rock and pop bands where the vocalist was at the front, like a crooner, and there was a group behind. So those things were new to me at the time, and joining HURRICANE was a complete departure for me. So coming to FOREIGNER was like coming back to my roots, to how I was when I started. – Was the “I got nowhere to go / Got a monkey on my back” line in “Living In A Dream” a depiction of your situation right before you joined FOREIGNER? No, I think that’s something more about compulsion or a feeling like you’re addicted to something, a bad habit that you’re trying to [get rid of], that’s influencing your life in a negative way: that’s kind of where that was from. – But you wouldn’t argue that “a monkey on my back” is a pretty much bluesy line, would you? (Laughs.) Oh, I guess maybe it depends on where you come from, but here it’s a very classic phrase that reaches across all walks of life, so it’s been used in literature and TV and everywhere else. I think that the bluesy connotation is deluding in my opinion. – How interesting was to strip everything down to the bone and record an unplugged album, “Acoustique”? – Was it more challenging for you to tone down your voice and not fly above this electric racket? It’s always more challenging when you’re going to be more naked, if you will. Not only does it expose the strength of weakness of a song, but it also exposes for me the vulnerability of how you sing it. There’s no hiding behind any loud reverb or loud guitars or double tracking or anything like that. You’re very much exposed, and it shows whether you can really do it or not. – I watched this clip of you with the STYX guys and Don Felder on “Fox & Friends”: did you really record “Hotel California” with them? Yes, we did. And we also did that medley here, in the United States, of “Juke Box,” “Hotel California” and “Blue Collar Man” as well. I think it’s going to be part of a CD package to coincide with the tour, I’m hoping we’ll have it done soon. – You’re going into a new album after the tour. How much of it is ready? Well, what we’re doing is we’ve just got to be working on material. We have a concept that we would like to do, which is maybe having some people coming in and guesting on songs with us, people who said that they’ve loved FOREIGNER or FOREIGNER’s been an influence, so we’ll see how that goes. [There will be] some new material, some material with guests, some kind of interesting versions of some FOREIGNER songs: a complete mixed bag. – Talking of mixed bag… Could you expand a bit on your work with HEAVEN AND EARTH and Tim Donahue? HEAVEN AND EARTH was just a project that my friend Stuart Smith had: he had a bunch of people sing vocals on that first record and bunch of people played different instruments, and it was very much reminiscent of that album that was out in the ’60s that was called "Lord Sutch And Heavy Friends" where Jimmy Page and the others played. I was stuck to singing all the high songs (laughs) but that was good, and the producer, Pat Reagan, did a great job on that record. And there were some songs on the next record that had been leftovers that I participated in. – You mean "Windows To The World" that your namesake Keeling sang on? Yeah, that record, yeah. And then, with Tim Donahue, actually, the songs were already kind of written; I probably would have chosen to have them in some different key – I wouldn’t call that a regret: it’s just something that I wished would have been a little bit different, I wished we had more time to get the best key for me vocally. But I really enjoyed that experience. Tim is a very unusual with his fretless guitar playing, so that was a new experience. 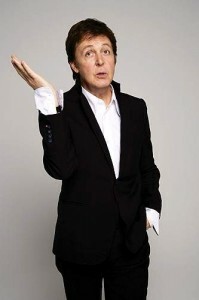 – It’s interesting because I heard that Paul Rodgers wasn’t too happy about his involvement in Tim’s previous album. – You re-recorded FOREIGNER classics a few times. Which of the songs you feel the most engaged with emotionally? That’s different from night to night. There are so many great songs – I’m fortunate to be the singer with the band where all the songs are really great, everybody knows all of them, and that just doesn’t happen very much for a singer. But I’m not a “favorites” type of person; I go with what I’m feeling at the moment, and on one night the band might be particularly great sounding on one track, and then on another night they’re really hot on another track, or the environment, the ambience of a particular place will affect how [I feel]. “Waiting For A Girl Like You” could be super-magical one night, but then another night maybe it’s going to be “Feels Like The First Time” that just has the special magic. Fortunately for me, I get to experience the songs that way, so it’s never the same for me. – But when you played the “Bang Your Head!! !” festival in Germany – out on the "Alive & Rockin'" CD and DVD – you left off both “Waiting For A Girl Like You” and “I Want To Know What Love Is”! Well, if you’d see the audience… (Laughs.) It was a very heavy rock festival, and there was a sea of black T-shirts in the audience. The other bands on the bill were very heavy, so we decided to do a rock set, a real rock set, but it was great: Tom Gimbel was out there doing a saxophone solo on “Urgent” and they all were pounding their fists in the air, so it was a great show. I think we made the right choices. 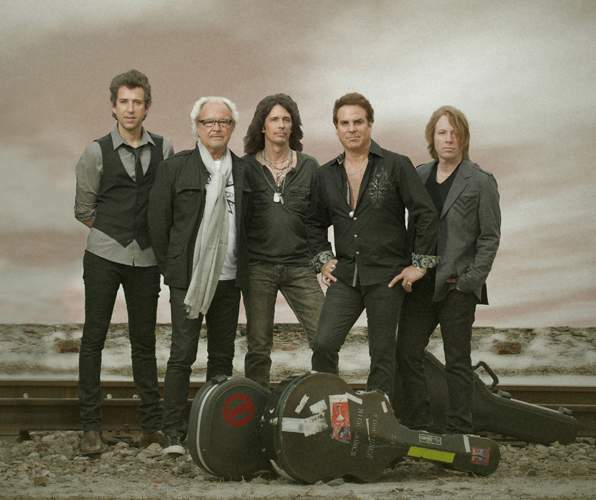 – The current promo photo depicts the band on a railway track just like it was on the cover of FOREIGNER’s debut album. Why? Two useful technologies to access your data from anywhere Cloud Desktop and hosted SharePoint by CloudDesktopOnline with 24*7 excellent support from one of the best DaaS provider – Apps4Rent.